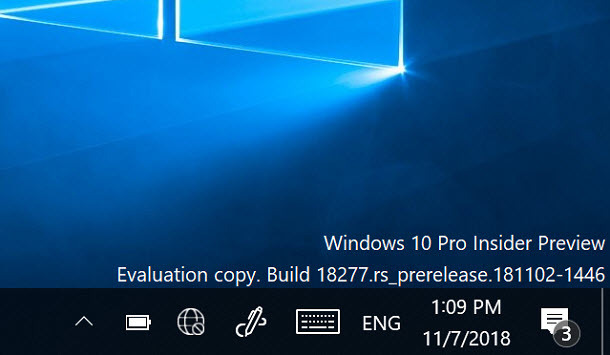 Per ricevere l’ultima versione del Windows 10 Insider Preview Build, sul vostro Windows 10, andate in Settings > Update and Security > Windows Insider Program. Less interruptions while you’re in full screen mode. Watching a movie on your PC? Pouring over Excel tables? Studying? With this Focus Assist update, you can keep your notifications quiet until you exit full screen mode. Based on a top request, the brightness Quick action is now a convenient slider instead of a button, giving you faster, more granular control. Notice that some of your apps seem blurry on your high resolution DPI display? The Advanced Scaling setting is now enabled by default so Windows can fix your apps automatically. Get text predictions in more languages on both touch and hardware keyboards. We’ve included options to add a border to screenshots and print them directly from the app. We’ve extended Windows search indexing beyond documents, pictures, videos, and desktop to cover all foldes and drives on your PC. Just tap the new ‘Ω’ key in the numbers & symbols view for direct access to more symbols and special characters. With the new version of the Sticky Notes app, you can sync and backup your notes across your Windows devices and view them in all one convenient place. Also includes a new charcoal-colored note. Take screenshots of UI elements such as pop-up menus and dialog boxes using the highly-quested delay snip feature in the Snipping tool. Capture, check off and strike-through your tasks naturally with a digital pen using Windows Ink. Questo post è stato visto 218 volte!